Led more by Jesus. Lead more like Jesus. Lead more to Jesus. Arrow Leadership is excited to share that Aash Parmar has joined the Arrow staff team, in a part-time capacity, as Recruitment Coordinator. Based in Perth, he will enhance our national presence as an organisation, whilst bringing specific focus to the task of enabling more and better leaders to engage with our Emerging and Executive Leaders programs. In the newly created role, Aash (in concert with the Program Directors) will develop and implement recruitment strategies and foster strategic relationships with key denominational and organisational representatives. Aash shares, "I am really looking forward to helping connect leaders around our nation with the great opportunities that Arrow offers. I am excited about being a part of a team that is committed to engaging, stretching and releasing Christian leaders for greater Kingdom impact." You are invited to contact Aash via email to find out more about our Programs or for application assistance. We look forward to the tangible impact that Aash will make within Arrow Leadership and therefore communities around Australia. Aash is married to Louise and is Dad to Micah, Keziah and Judah. 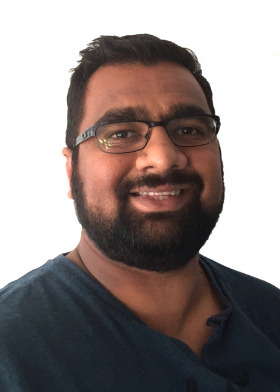 Aash divides his time between two roles as the Senior Pastor of Ellenbrook Baptist Church in Perth, WA and as Recruitment Coordinator for Arrow Leadership. He loves being a part of challenging leadership conversations as well as seeing leaders discover the Spirit’s rhythm in their development. Prior to ministry in Ellenbrook, Aash was raised in Africa and then moved to the Goldfields of Western Australia where he served in youth and then senior ministry roles in Kalgoorlie. He is invested in closing the gap in leadership development opportunities for the young, the minority and the disengaged. He also loves Manchester United and spending time connecting with people over board games, sport and mindless trivia.